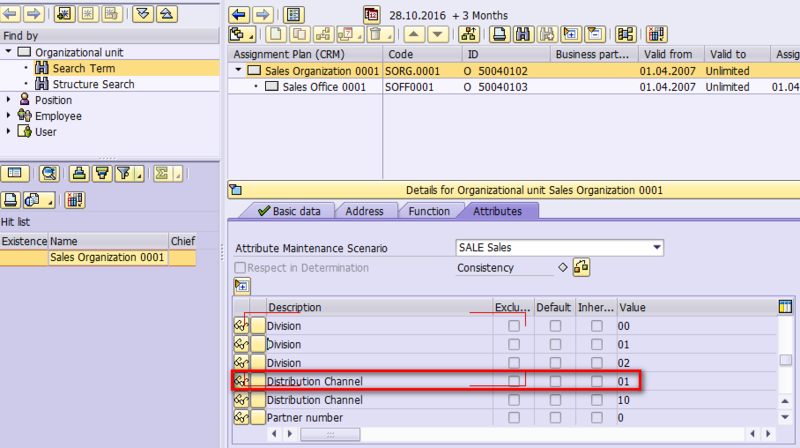 In tcode SMW01, I observed the following sales organization and distribution channel mapped in settype CRMM_PR_SALESA in CRM. The fields observed in tcode SMW01 are filled by these two lines. 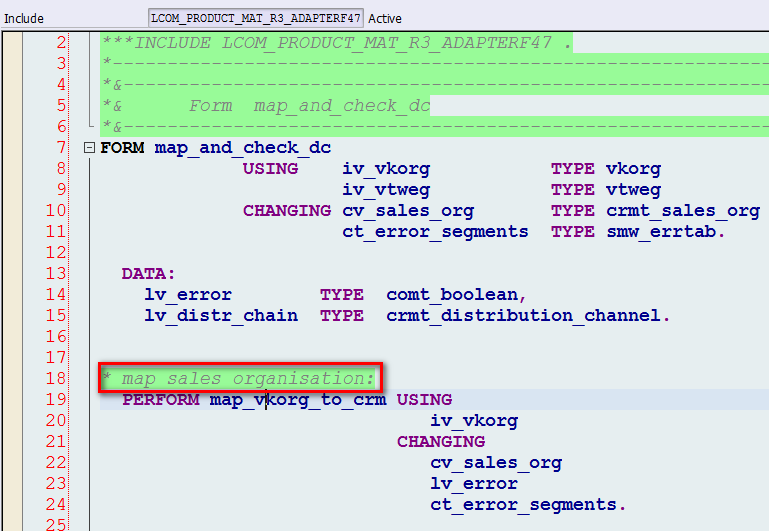 In line 45, the variable iv_crmvkorg already contains the converted sales organization in CRM format. 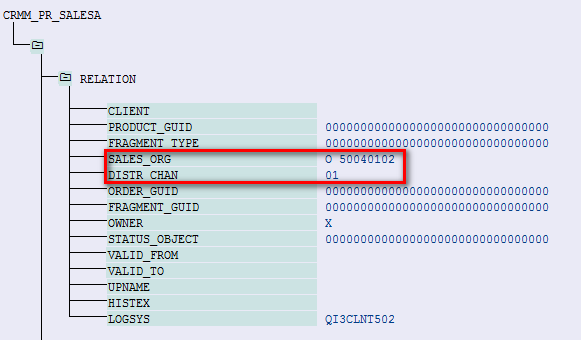 O 50040102 is found because it is marked as SAP ECC Sales Org. 0001. 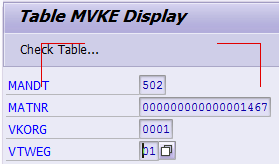 For distribution channel, it is directly filled with the value exactly from ERP table field MVKE-VTWEG. 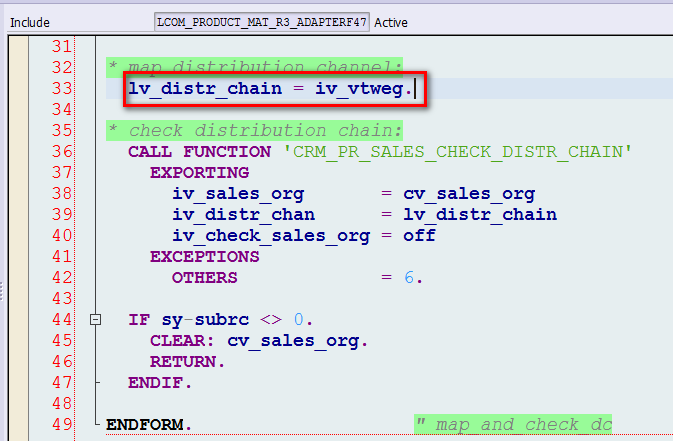 After fill, there is a check performed by CRM_PR_SALES_CHECK_DISTR_CHAIN. 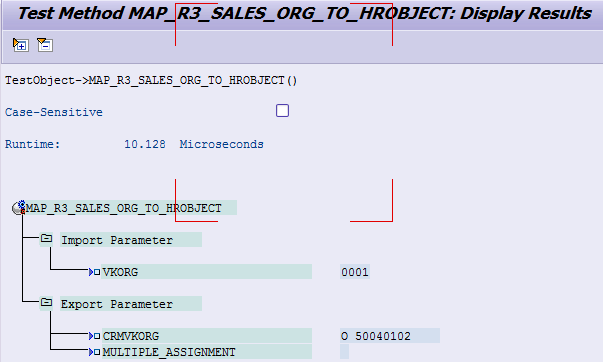 In my example, the check passes since the distribution channel 01 is already maintained in this CRM sales organization.